On the American company Avaya knows a lot. Usually this brand on everyone's lips when it comes to the ip-telephony. It is no coincidence. The thing is that Avaya is now widely regarded as a global leader in IP-telephony. It has long specialized in the production of equipment for the management of relationships with customers, as well as message handling systems. Plus equipment for multiservice and converged networks. 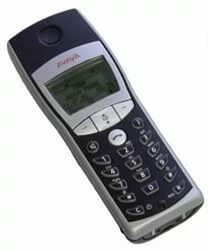 Avaya - a company with a rich history. It offered its development to the consumer in the nineteenth century. More specifically, in 1866. The company Avaya - is a former division of Lucent Technologies. It became fully independent 2 October 2000. Prior to that, for over a century, the company has been part of other well-known manufacturers. Such as Western Electric, AT & T, Lucent. Headquarters, Avaya is in Basking Ridge, in the state of New Jersey. Initially, the company had ambitious plans. In the sense that it manufactured its products for sale on the domestic market. Prices were set taking into account the purchasing ability of Americans. However, after ten years, the company decided to sell phones and various related accessories to the development of countries around the world. All products offered by the company are made on the basis of scientific developments and even unique technologies. That is what led to the rapid development of the company. Currently, the company offers a wide range of services for the development and design of telephone and Internet networks. And all over the planet. 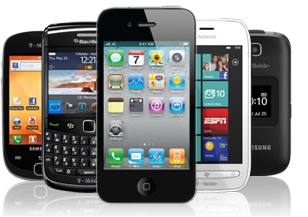 It also offers services for the development of unique handsets. In the autumn of 2000, when the company was separated from her partner, she immediately offered to buyers of brand new phone accessories. It's really a whole new phones, since they do not have analogues in the world. High quality products and services has enabled the company to become a market leader Avaya today. Avaya also, since 2006, significantly increased its marketing activities in the sport. It has become an official partner of FIFA, he took over the sponsorship of one of the "Formula 1" command. Advertise on major sporting events.